“Rocky” film score/soundtrack by Bill Conti. Click for CD. It’s not a long piece of music, but in its own way it’s something of a masterpiece for what it helps to set up and convey in the film. Now, if you happen to abhor the Rocky franchise and/or boxing, don’t head for the exits just yet. Give this piece of music a chance, and consider its artistry and what it did in the film (the music is provided below). “Philadelphia Morning” runs about two-and-a-half minutes or so. In the film, it gives depth and emotional underpinning to a particular scene, and it tells a bit of a story in itself. It is arguably one of those perfect little pieces of film music that captures the essence of an on-screen moment, providing weight and poignancy to scene and story so the viewer/listener not only gets the message, but feels the moment, and in this case, the challenge too. “Philadelphia Morning” is nearly perfect for its task, although it may be the kind of music passed over and forgotten as the movie rolls on to other scenes. Yet for some, as the feedback on this film over the years suggests, this particular bit of soundtrack has left its mark. But before delving into that, some context and set up for the scene and the music. In the film, Rocky Balboa and Apollo Creed at press conference announcing the special fight. Rocky Balboa, played by Sylvester Stallone, is a down–and-out boxer who uses the moniker “The Italian Stallion.” His boxing career hasn’t exactly been lucrative, or even sustaining, so he is also a part-time “break-your-thumbs” debt collector — though the empathetic Rocky breaks few thumbs. But in an amazing turn of the fates, Rocky is plucked from obscurity to spar with the world’s undefeated heavyweight champion, Apollo Creed, played by Carl Weathers. It’s a special prize fight and publicity stunt, designed to give some unknown boxer “a shot at the title.” It will be staged in Philadelphia on New Year’s day 1976, the year of the U.S. Bicentennial. It’s all hype and no worries for the Muhammad Ali-like champ, Apollo Creed, who comes up with the idea. Creed expects to dispense with Rocky at will – three rounds at most. For Rocky, however, it’s the chance of a lifetime; a chance to prove himself and be somebody. And the “Philadelphia Morning” music helps set the stage. In the opening scene of the “Philadelphia Morning” film segment, a ringing alarm clock in a dark room rouses the sleeping “Italian Stallion,” who makes his way out of a rumpled bed. He turns on the a.m. radio with its background noise, then lurches toward the fridge. There, he cracks a series of eggs one-by-one into a large plastic glass and then downs his home-made protein drink. He then pulls on his sweats, heads down the steps and out the door. The “Italian Stallion” confronts his first “Philadelphia Morning” workout – it’s 4:00 a.m., and he’s out of shape! It’s a gray, cold winter morning in Philadelphia that day – 4 a.m, still dark and 28 degrees. Bill Conti’s score, opening with its flat French horn, captures the cold remoteness of the setting as well as the unwelcoming challenge ahead. The horn is also a kind of eerie calling; an uncertain calling, beckoning the down-and-out boxer to his task. Rocky lives by himself in the bowels of back-street Philadelphia in his ramshackle row-house walk-up. But now, it’s all on him; what he faces in getting ready to battle Apollo Creed. He’s pretty much alone. He has one “sort-of-friend” in a guy named Paulie, no roommates, and maybe an older trainer from the local gym who will help him. But basically, on this morning, it’s just him facing his first day of self-imposed training. And that’s what the muted French horn and trumpets are saying. They’re calling to him, but at the same time, playing to his self-doubt. “Hey buddy, it’s a long road here. Are you ready for this?” At his stoop, Rocky stretches his legs a time or two. Then he begins to jog away, slowly, very slowly, as the music and camera follow him into the darkness of pre-dawn Philadelphia. Rocky begins his pre-dawn run, moving away from his stoop. Rocky (far center) recedes into the city’s deserted streets. Rocky (lower center-left) continues his run into center city Phila-delphia and through the City Hall passageway on Broad St.
On the other side of City Hall, Rocky heads for the steps at the Philadelphia Museum of Art. The Philadelphia Art Museum in daylight, where Rocky will arrive in early morning darkness to run its steps. Rocky Balboa during one of his later training runs of the steps at the Philadelphia Museum of Art. However, on his first try at the steps, Rocky struggles, barely making it to the top, and is badly winded when he gets there. Doubled over in pain and wheezing, Rocky ends his run and begins his retreat down the Art Museum’s steps. With the Benjamin Franklin Parkway in view, Rocky, still winded, reaches the bottom of the steps, now heading home. Bill Conti’s score in this short segment is penetrating and pensive, and part oppressive – as it had to be. For this music is also describing the battle within; the solitude of it; the impossibility at hand; and generally, the struggle involved in pushing oneself. We all have those battles, putting one foot ahead of the other; taking one day at a time. Still, the weight of the prospect before this Rocky Balboa character is truly daunting – as long-odds as the music suggests. In fact, there is a powerful but subtle orchestration here; the sound of a kind of musical undertow — an undertow that is pulling our hero down, as if giving him leaden legs, or of running in quicksand. But there is also a twinkle of possibility left in this score. The music has already begun to convey the self doubt and the challenge – the horns are muted and not quite sure. It’s a tough road ahead, no question. Piano and orchestra begin tracking Rocky’s tentative first steps. They are heavy, ponderous plodding steps as he begins to rise to his impossible dream. Yes, one foot ahead of the other, the underdog begins his journey. Rocky slowly moves away from his walk-up on the still dark street. The camera pulls out as a smaller and smaller Rocky fades into the morning darkness headed for center city and beyond. It’s still dark, the city is still asleep. The camera follows Rocky as he moves through the streets, shadow boxing a bit, jabbing at the air. A Daily News delivery truck pulls away after dispensing some of the morning newspapers. Rocky passes through City Hall, picking up the pace a bit on the other side, now heading toward his middle-run challenge: a series of steps at the Philadelphia Museum of Art (since named the “Rocky Steps” in Philadelphia lore because of this film). It’s still dark when he arrives at the base of the steps. The city is waking; some twinkling lights are seen. Rocky begins his charge up the steps, which rise to the museum in several segments, each separated by a short, flat plaza. But by this time, he is probably wishing he had stayed in bed. For Rocky struggles as he tries to conquer the museum steps. Half way up, he is bending over, feeling the burn, but he keeps moving. He is badly winded when he gets to the top of the steps. He barely makes it. At the top, he is bent over, gasping for air and collecting himself. There is no “champ dance” at this arrival. “What have I gotten myself into?” he is surely thinking, bent over in pain and inadequacy — now limping, not running, down the steps, holding his side and wheezing as he goes. As the dawning light begins to break over the Philadelphia skyline, Rocky has lost his first bout with the museum steps. He gingerly limps down the final flight of steps, logging an incomplete workout, heading back to his walk-up. The music returns to the flat, muted horn and that “undertow” sound is heard once again. The suggestion is writ large: “can this guy make it?” And after this run, he’s no doubt asking himself the same question. The piano and orchestra trail off, and there is uncertainty in the air. This “Philadelphia Morning” was a rough beginning. It is the first of many to come if he is to stick with it. Would he continue? Could he even get to square one? Maybe he’ll just stay in bed the next time? The music, though muted and understated, was perfect for this scene, helping to cast the loneliness of the struggle, the hard road ahead, the impossible odds. Nicely done. Thank you, Bill Conti. In the years since Rocky was first shown, the “Philadelphia Morning” segment has appeared on YouTube and similar channels in both aural and video form, inspiring a range of comment from viewers. Of these, a few noted that the scene seemed utterly hopeless. Others said the scene made them feel badly for the struggling underdog. But a number also found the scene quite moving, some rating it among their favorites. This “Philadelphia Morning” segment, of course, is all set up for what’s to come later in the film, as Rocky does manage to get himself into fighting trim and will have more successful visits with the Art Museum’s steps. More on that later. First, some background and history on the music maker, Bill Conti, and his Rocky soundtrack. “Rocky” music composer Bill Conti around the time the first “Rocky” film was produced. “Let me tell you something,” John Avildsen, Rocky film director would say in an interview some years later, “if Bill Conti’s music wasn’t in Rocky, nobody would know anything about Rocky.” Indeed, the film is buoyed throughout by both powerful, inspiring tracks – as well as its more pensive and tender moments – all thanks to composer Bill Conti. Conti was born in Providence, Rhode Island in 1942, graduated from Louisiana State University, and studied at the Julliard School of Music. He spent time in Italy ghost-writing for composers and working in clubs. By the 1970s, he and his wife were working in the U.S. and taking what work they could find. Bill’s big break into musical celebrity came in 1975-76, when he was hired to compose the music for a small, low-budget, United Artists film named Rocky. The film, written by Sylvester Stallone, then an unknown actor who pushed the studio to cast himself in the leading role, became a surprise major hit, and Conti’s film score helped make the film a mega American hit and international success. In composing the score, Conti started with a relatively simple theme at his piano – “a sad tune for a sad, down-and-out boxer,” he would later say. Conti used variations and extensions of that motif throughout the film to help fashion the entire soundtrack. At the time, much of it was piecemeal and additive, working with the theme to fit the various movie scenes, stretching and cutting the music as needed. The single jacket cover for Bill Conti’s “Gonna‘ Fly Now,” with B-side “Reflections.” Click for digital. A number of the tunes in the score are raucous and brassy, as they were designed to be, summoning boxing and heroic themes during the film. Yet, Rocky is also a love story – between Rocky and the shy pet store attendant, Adrian (Talia Shire). And it is also at times, a story with pensive, inward-looking “can-I-do-this” and “alone-in-the-ring” moments – as in the “Philadelphia Morning” segment. Among this softer group, Conti used subdued treatments such as the spare-piano Rocky theme. Rocky the person, despite his rough edges and awkwardness, is really a softie inside. And Bill Conti’s music manages to capture and covey this as well, and the overall story, in good and popular form. When Stallone first met Conti to do the score, he had his doubts, but in the end, he was more than pleased, saying he should have known, since Conti was an Italian. The now famous film montage of Rocky training in and around Philadelphia for the fight — and growing stronger as he does – is backed by the Conti piece that became the movie’s main theme and most popular song – “Gonna Fly Now”(lyrics by Carol Connors and Ayn Robbins). Also known as the “Theme from Rocky,” the song builds and builds in the training sequence, rising to a crescendo as Rocky soars up the 72 steps at the Philadelphia Art Museum with energy to spare. It is on this occasion that Rocky does his famous “champ dance” at the top of steps, arms thrust to the sky. Thereafter, that scene and the song became embedded in American popular culture. In one of the “Rocky” film’s most iconic screen moments, Bill Conti’s composition of the theme song, "Gonna Fly Now" reaches a crescendo point as Rocky now sprints to the top of the Art Museum’s fabled steps, where he proceeds to do a little “champ dance,” proclaiming his fitness with arms raised while facing a Philadelphia morning skyline. Click for similar poster. Sylvester Stallone and Bill Conti, circa 1970s. As for Bill Conti, once his Rocky score landed him Oscar, Golden Globe, and Grammy nominations, and as sales of the Rocky soundtrack album soared, a whole new era of opportunity began for the composer. These openings ran the gamut in film and television, spanning both the pop and orchestral realms. For starters, he was asked to lead the orchestra for the Academy Awards show in 1977, the year he was first nominated for his Rocky song ( He would subsequently do the Oscars show 18 times, more than any other orchestra leader – and win Emmy Awards for three of those productions). In 1984, Bill Conti won the Academy Award for composing the score of The Right Stuff. He also did the music for several of the Rocky sequels (those of 1979, 1982, 1990 and 2006). Included among Conti’s other film scores and TV music are: the James Bond film, For Your Eyes Only (1981); That Championship Season (1982); The Karate Kid (1984); Falcon Crest and Dynasty (TV, 1992); The Thomas Crown Affair (1999); and others. The first “Rocky” is also a love story, and in ice rink scene, Rocky, without skates, is trying his best to court Adrian. After their “first date,” Rocky is trying to convince Adrian to come with him to his walk-up apartment for a visit. Inside Rocky’s apartment, Adrian (Talia Shire) is appre-hensive, but eventually succumbs to Rocky’s advances. During “Rocky I,” Adrian gradually loses her shy, “pet store attendant look,” revealing an attractive beauty. 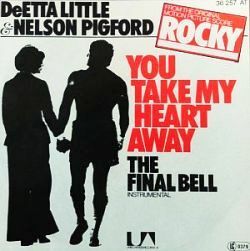 The original Rocky music, however, remains a high point for Conti. The music did well in 1976-1977 and it has continued to reap recognition. In 1977, Billboard ranked Conti’s version of “Gonna Fly Now” as the No. 21 song of the year. Conti’s single also became a certified million seller in the U.S. In June 2004, the American Film Institute placed it at No. 58 on its 100 Years…100 Songs list. Versions of the song continue to be heard somewhere almost daily, whether high school marching band, political campaign, or commercial advertising, leading some to cry “Rocky fatigue.” In 2015, the song was used as backing music in a Publishers Clearing House TV commercial. As for the original Rocky film, there continues to be divided critical opinion – ranging from “love it” to “hate it,” and others who believe the proliferation of the Rocky sequels have detracted from or overshadowed the original. Still, in its day, 1976-77, the Rocky film was a phenomenon — and in somewhat difficult economic times, its “underdog rising” and “love story” motifs gave the nation something to cheer about. At the box office, meanwhile, for a small-budget film ($1 million) with an unknown lead actor, Rocky became a huge success and the highest grossing film of 1976. According to Hollywood Reporter, by December 2006 the original Rocky had grossed $225 million worldwide, with more than $117 million of that at the domestic box office. The film also received ten Academy Award nominations in nine categories, winning three. In 2006, the original Rocky was selected by the Library of Congress for preservation in the U.S. National Film Registry as being “culturally, historically, or aesthetically significant.” The Rocky film series, meanwhile (6 films to date), has generated more than $1.2 billion at the box office worldwide, with a 7th film in the series, Creed, slated for release in November 2015. "You Take My Heart Away" single; click for digital. Other stories at this website on the use of music in film include: “Let The River Run” (Carly Simon’s hit song from 1988’s Working Girl); “The Saddest Song” (Samuel Barber’s “Adagio for Strings” in Platoon and other films); and, “Streets of Philadelphia” (Bruce Springsteen and Neil Young songs in Philadelphia, with Tom Hanks as AIDS victim Andy Beckett). Movie poster of Adrian and Rocky after he has lost the fight, but won the love of his life. Click for gallery-wrapped poster. 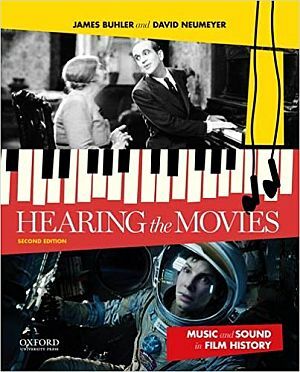 2015 paperback edition of “Hearing the Movies: Music and Sound in Film History,” Oxford University Press, 592 pp. “Rocky,” Catalog of Feature Films,” American Film Institute. Judy Klemesrud, “‘Rocky Isn’t Based on Me,’ Says Stallone, ‘But We Both Went the Distance’,” New York Times, November 28, 1976. Arthur B. Krim, “Film Mailbag; Raves for ‘Rocky’,” New York Times, December 12, 1976. Gary Arnold, “’Rocky’ Challenges the Odds,” Washington Post, March 27, 1977. Tom Shales, “The Oscars: Top Honors to ‘Rocky’, Finch and Dunaway,” Washington Post, March 29, 1977, pp. B1, B2. Ted Thachrey, Jr; “ ‘Rocky’ Wins as Best Picture,” Los Angeles Times, March 29, 1977, p. A-3. Jon Nordheimer, “‘Rocky’ Gets Oscar as Top Film; Finch, Dunaway Win for Acting,” New York Times, March 29, 1977. Jon Burlingame, Bill Conti Interview, Los Angeles, Archive of American Television, September 20, 2010. “Rocky,” Filmtracks.com, December 11, 2009. “Rocky & Philadelphia Morning,” YouTube .com, by Maxioteque, posted, February 4, 2010. Danny Antonelli, “Bill Conti – Living The Truth – Trailer,” Vimeo.com, January 15, 2014. Danny Antonelli, “Rocky – Music by Bill Conti,” Vimeo.com, January 15, 2014. “Bill Conti – Philadelphia Morning Video,” PhiladelphiaInformer.com, Posted 28 August 2012. Dorothy Miell, Raymond A. R. MacDonald, David John Hargreaves, Musical Commu-nication, Oxford University Press, 2005, 433 pp. “Rocky – 1976,” Turner Classic Movies, TCM .com. Hollywood Reporter, December 12-18, 2006. Sylvester Stallone, “The Making of ‘Rocky’,” (Special to Page 2), ESPN.go.com, January 12, 2007. Michael Vitez, Tom Gralish, Sylvester Stallone (foreword), Rocky Stories: Tales of Love, Hope, and Happiness at America’s Most Famous Steps, Paul Dry Books; 2006, 144 pp.